Compiled by Anita M. Ingalls, Charles E. Page, Sandra B. Wilsey, Charles E. Page III and Fay Page Lackey in cooperation with Madison County historians, historical society members and enthusiastic volunteers. 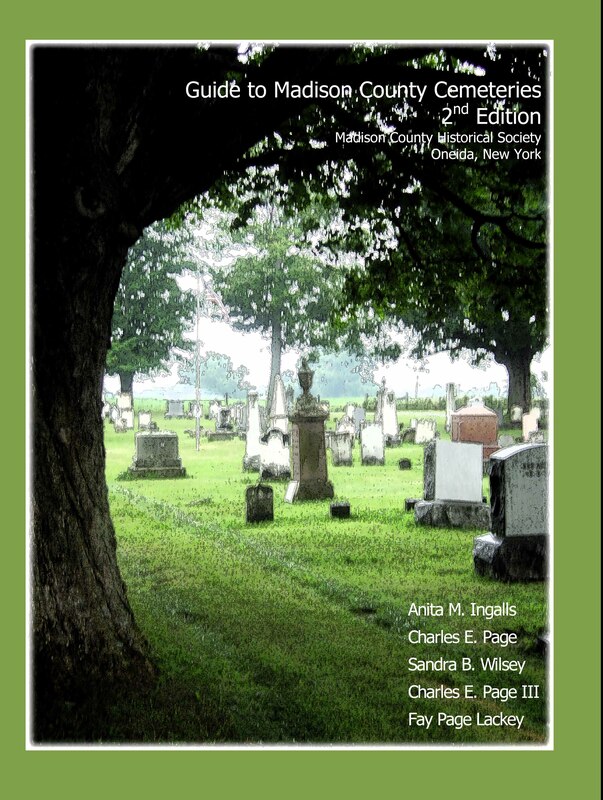 The second edition adds an additional 25 cemeteries to the listings, hundreds of photographs, maps, GPS readings and more. All proceeds from the sale of this Guide are for the benefit of MCHS educational programs. 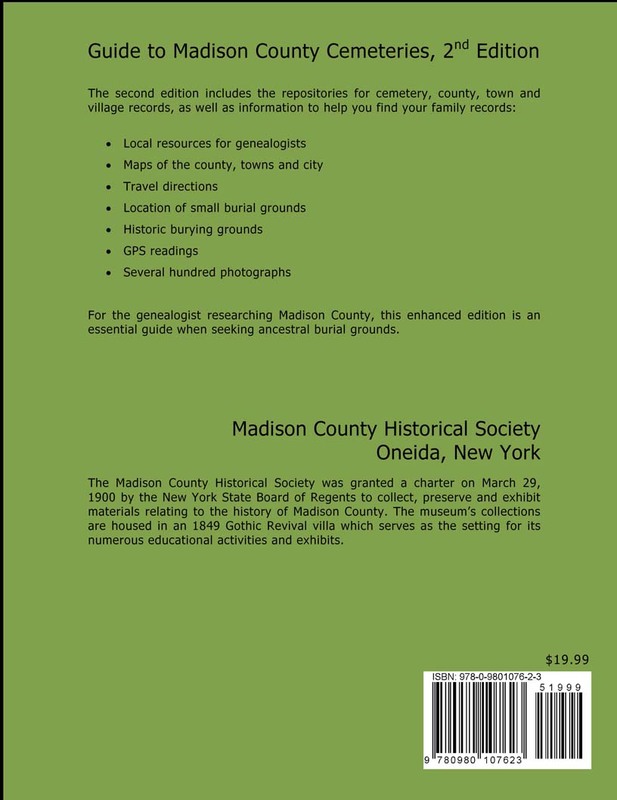 For the genealogist researching Madison County, this new 236-page edition published by the Madison County Historical Society is an essential guide for travelers who want to visit the burial grounds of their ancestors. The Guide includes the names or historical locations of the county’s 285 known cemeteries with detailed driving directions to visit each site. Guides are available from MCHS. Send a check for $19.99 plus $6 shipping to: Madison County Historical Society, 435 Main Street, Oneida, NY 13421. NYS residents should add $2.08 sales tax for each copy ordered. Click for order form. Hours: 10 to 4 pm Monday-Friday.